At UCLA’s 35th Annual Vietnamese Culture Night, VSU Modern took to the stage in Royce Hall to dance in front of a sold-out crowd of 1,800 people. The hip-hop dance team, formed by the Vietnamese Student Union, performs every year at this event as a part of the major production. After the show I tried to find out more about what makes this dance team unique – with a little help from social media, of course. The team isn’t active on all social platforms, unfortunately, so I had to imagine how its profiles might be on Twitter, Tinder and Vine. 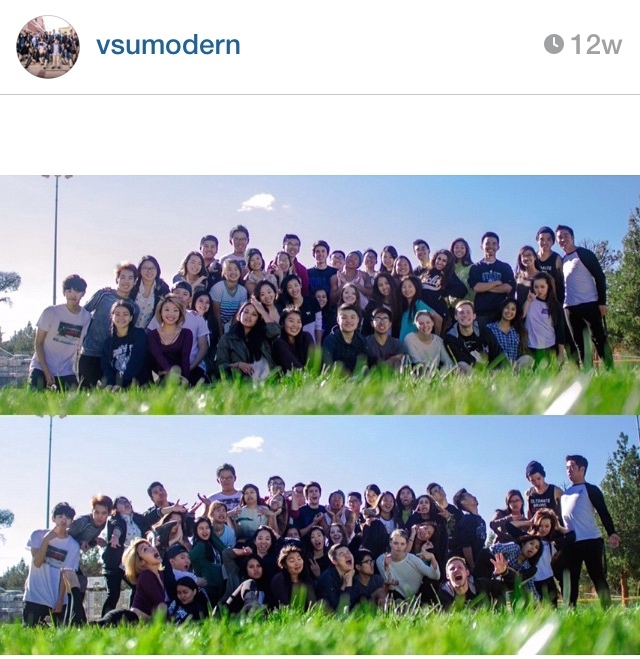 But be sure to follow VSU Modern on its Instagram, @vsumodern. VSU MODERN! IT MAKES ME WANNA DANCE! Our name is VSU Modern and we love drinking boba, singing, eating, staying up late, turning crowds into mosh pits and using toilets. If we could be any animal, we would be a red panda, because, why not? Just a heads up, if we were to drop a mixtape, it would be called “When.” You can find us chilling out in Lot 4, but we also spend a lot of our time at what we like to call “the holy trinity of Sawtelle Boulevard.” In other words, catch us at MJ Café Express sippin’ on that boba. Hey, do you salsa? Because you’re spicy.